Are you ready to take your lower level to the next level? If your home is feeling a little tight and you’re itching for extra space, your best bet may be to look down rather than out. Depending on your situation, finishing a basement is often the most cost-effective, practical way to add the room or three that you need, whether you’re dreaming of a home theater, guest bedroom, or roomy rec room. Basement remodeling isn’t an ideal DIY job. Especially if you’re handy, it may seem like a doable project with the help of a few trusty friends, but there’s more to the work than meets the eye. Your basement needs to be safe, up to code, well-designed for maximum usability, and any potential ventilation/moisture issues need to be addressed. The last thing you want is to finish the rooms, then realize a few months later that trapped moisture behind your walls is wreaking havoc. We suggest contacting a local, professional home remodeling company, one that can walk you through the practical considerations as well as the more fun design aspects of the process. Today, however, let’s focus on basic design tips to make sure you get the most out of your new space. What Should You Consider While You Refinish Your Basement? If your basement will hold a sleeping space or home office, you’ll need to include an egress window. And, an egress window will let in a bit more natural light - always a bonus! Regardless, talk to your builder about how to make your basement not feel like a basement. Enlarged windows, recessed lighting in specific zones, and other similar tactics can keep the darkness at bay and make your living area feel bigger. As we mentioned above, the goal is to make your basement not feel like a basement. One tip to assist with this is to avoid compartmentalizing the downstairs; keep it open, bright, and with clear sight-lines. Consider what you need from your basement as far as functionality, and then be sure that the right equipment is installed. For example, will a home office be tucked away in the corner? Talk with your contractor about lights, electrical outlets, or privacy considerations you may have (you don’t want to be on a conference call while your kids are diving off the couch in the background). Or, if a home theater is a must-have, make sure there’s easy access for all of the hidden wiring you’ll need. It can be tempting to go right to drywall, just so that it looks like a normally finished room. Especially if there is plumbing or electrical overhead, however, a ceiling tile alternative will be a big cost-savings down the road. Rather than cut drywall, then need to patch and repair it, a water leak from overhead or necessary plumbing repair will only involve removing/replacing a couple of tiles. You may have a sump pump, drain, or other water-fighting feature, but catastrophes still happen now and then no matter how well you plan. Opting for a tile floor rather than carpet can be a major asset, just in case the waters rise. 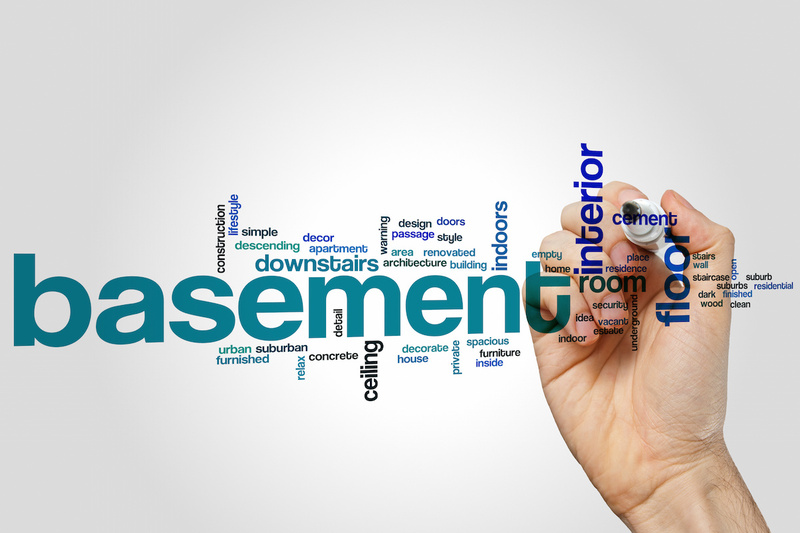 Partner with a Basement Remodeling Pro! There is no substitute for the value of working with a licensed, insured, experienced professional. If you live in the DC area, we hope you’ll contact us at Stohlman & Kilner Remodeling Contractors. We’re here to serve you!